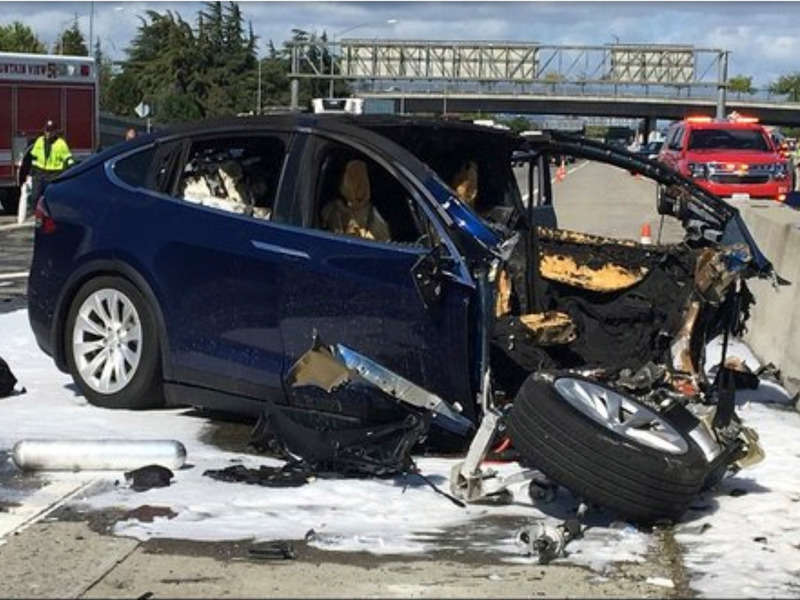 A Tesla Model X destroyed in a fiery crash that also killed the driver had been operating on Autopilot moments before the collision, Tesla announced on Friday night, citing information collected from vehicle logs. The company said the driver had set a distance-control feature that determines how much space the Model X keeps between itself and other vehicles to the “minimum” setting. Tesla revealed new information about a collision involving a Model X, in which the driver of the electric SUV was killed last week. The company said in a blog post on Friday night that the Model X had been operating on Autopilot, its semi-autonomous driving system, before the crash, according to data obtained from onboard vehicle logs. The driver had also set a distance-control feature that determines how much space the Model X keeps between itself and other vehicles to the “minimum” setting, the company said.